When did you realize you had a story to tell? Was it when you were a child, as you were watching events unfold around you? Did you know that you were seeing or experiencing something powerful before you even had the full vocabulary to express it to anyone? Was it when you were an adolescent, as you bridged into your teenage years and your relationships started to take on new meaning and significance? Did you feel your more grown-up observations form as you tried to make sense of a world that changed fast — but less quickly than you did at that time? What about as a young adult when you entered the workforce or college or marriage? How did it feel to take on those new responsibilities? Did you handle them well, or are there things from that time you still need to sort through? Was there a turning point in your career? A significant change in relationships such as a birth, a sickness, or a death? What about an opportunity missed? Was there a botched opportunity, or a mistake that turned out to give you greater clarity and forward motion? How have you thought about your story since you decided you wanted to tell it? It is now 2016, the start of a brand new year where we have the symbolic opportunity to make brand new decisions about how we want our lives to be from this point forward. What goals do you have for 2016? I want to get my book out! Gather my scattered thoughts about this book–what do I even want to say? Set a regular schedule to sit down and write. This year will pass, no matter what we do or don’t do. Why not set the course to do something that will allow you to finally have a completed manuscript at the end of it? Get My Book Out!™ is your complete guide to get your nonfiction book out of your head and into the hands of your future readers in less than one year. My step-by-step online course includes 3 modules of lessons, a wealth of downloadable guides, and support from your fellow writers. Are you confident that with the right course you can write your book on your own time at your own pace? Click here to learn more! Through three 16-week modules in my exclusive online writing course, I work directly with busy executives and help them develop their nonfiction book concept, organize their material, and write a book that will change lives, save lives, or transform society. This course offers the advantages of a personally available writing coach and the structure of an academic course at a high-value price point. Would you like to write your book with the hands-on support of a coach and peers? Click here to learn more! As your private book writing coach, I will work with you one-on-one every 2-3 weeks through six (6) 90-minute Skype sessions where we will plan your nonfiction book project, and work to build it piece-by-piece. You will have “homework” to complete between sessions so that you can make significant progress on the foundation of your book and write a piece that can stand shoulder-to-shoulder with the best books on the market. Do you want the most exclusive and customized book coaching experience to get your book out FAST? Click here to learn more! 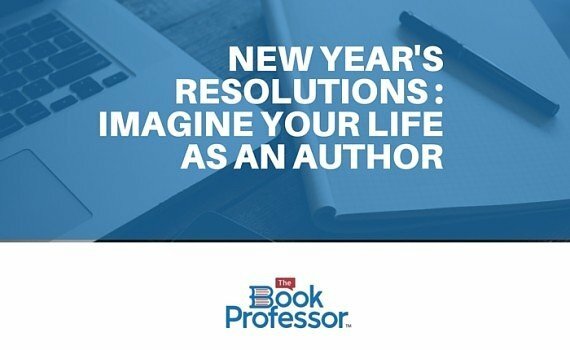 You’ve imagined the story you would tell and you’ve imagined the kind of goals you would like to realize this year, but how you would like your life to feel this year and after? And that is just the beginning, your first story. How much more is stored in your heart? Sign up for my newsletter below to receive great writing tips and tricks each month right in your inbox! Here’s to you, Future Author! Let’s make 2016 a wonderful, meaningful year.